Does AKA want to quit music to travel the world? 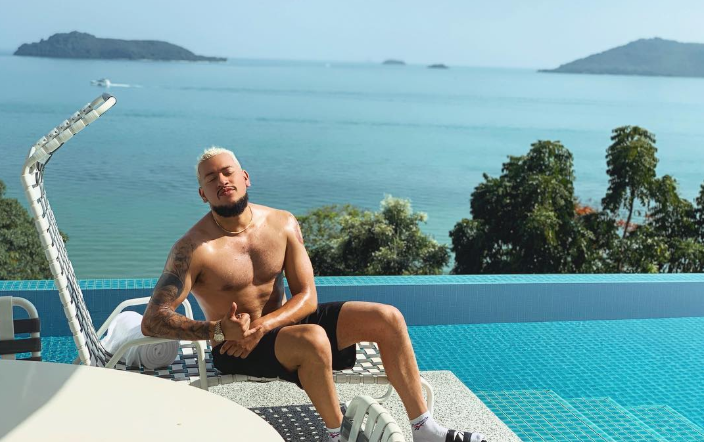 AKA loves travelling so much he might get his own travel show! Would you watch a travel reality show starring AKA and his "girl" - who may or may not be DJ Zinhle? The rapper, who was recently on holiday in what looked like Thailand, hinted on his Instagram Story that he wouldn't mind getting his own show. “I am willing to do a travel show. I’ll quit music for a year and me and my girl just travel the world, eating food…” he said. The verdict is still out on who his "girl" is, but many believe the 'Fela in Versace' rapper is back with his ex-girlfriend DJ Zinhle. Pictures and videos Zinhle shared on social media reveal that they were on holiday in the same place. They did not post any pictures together, but they were spotted at the same hotel swimming pool. Zinhle was also seen having lunch at the same restaurant as her ex - judging by the decor anyway. Could Zinhle be AKA's new travel buddy for a reality show? The rapper has made no secret of the fact that he loves travelling and has been to America, Mauritius, and Mozambique. He is willing to spare no expense for his travels. In January 2017, he flew to Phuket, Thailand with his then-girlfriend Bonang Matheba. The couple reportedly spent an estimated R100,000 on return business class flights, luxury accommodation, and shopping sprees. We think AKA's travel show would be a hit! Would you watch? Thank you for these stunning shades @thabs_theconnect.. I love & miss you.